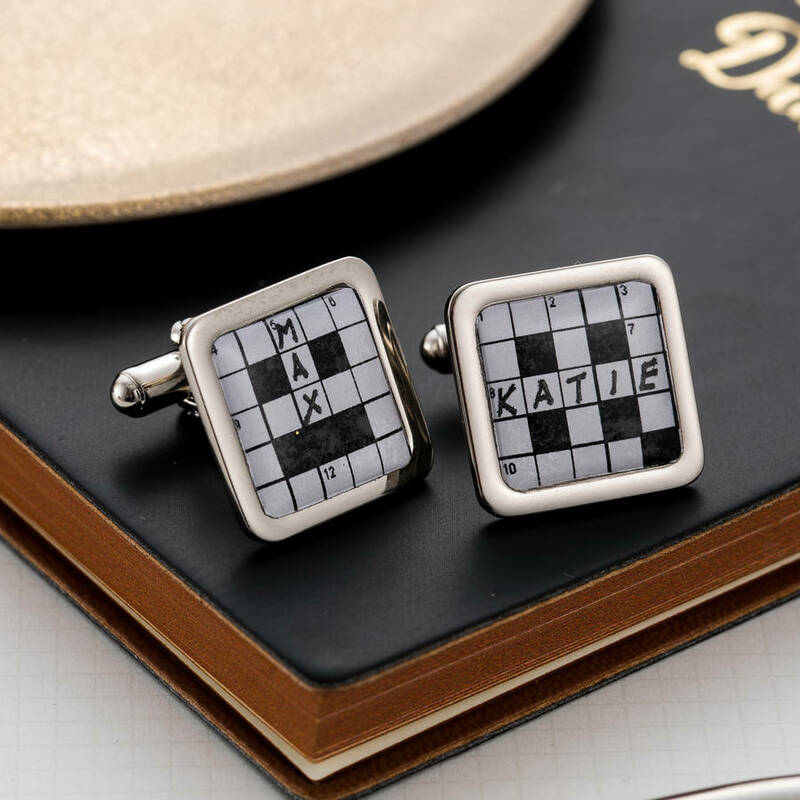 A quirky pair of personalised crossword cufflinks. 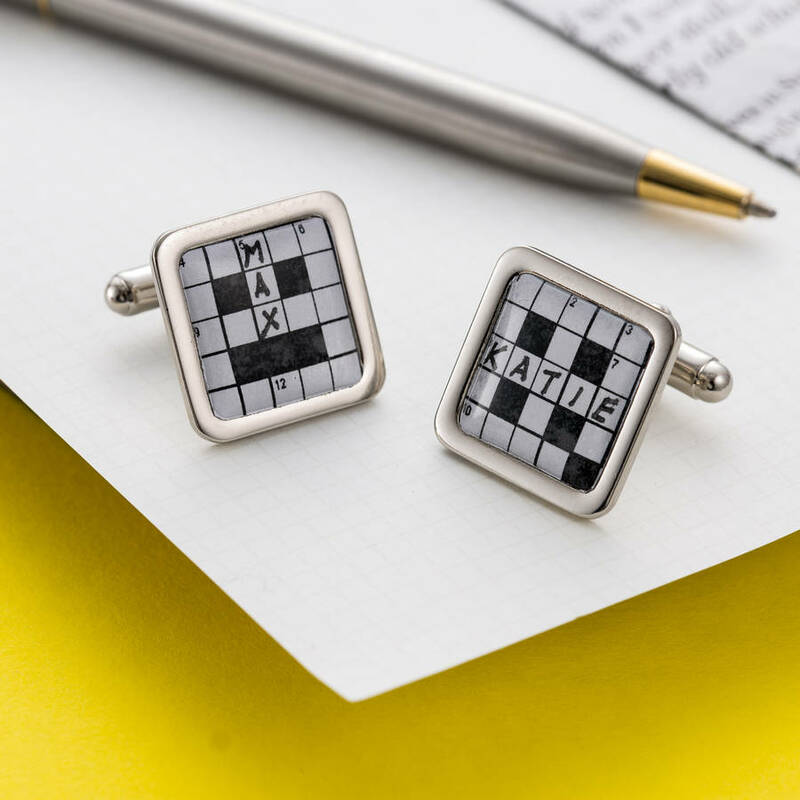 The perfect gift for a puzzles enthusiast, these crossword cufflinks make a great gift. 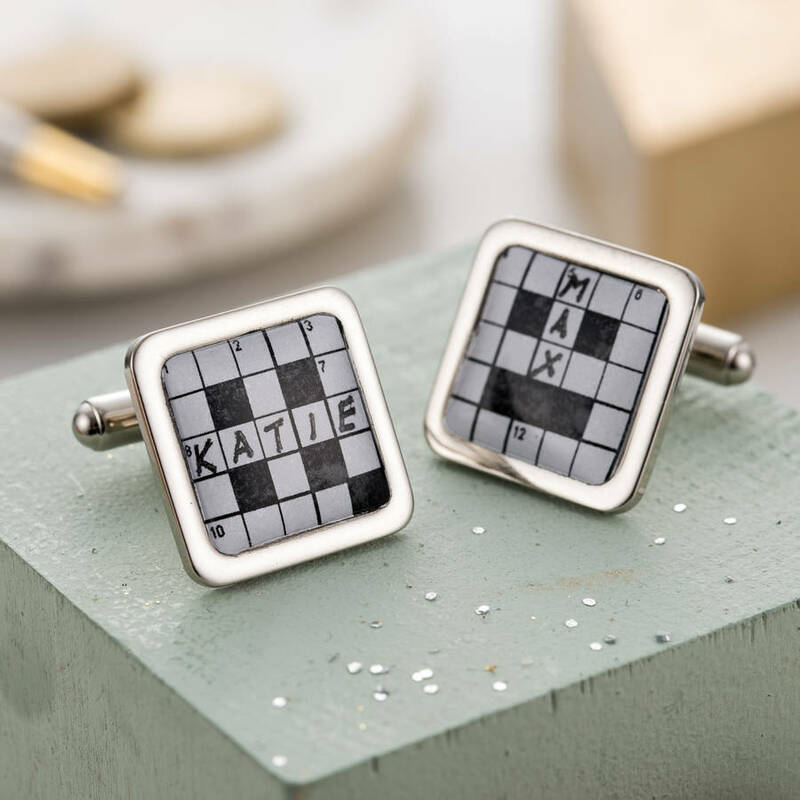 Personalise with the names of your little ones or the names of the happy couple for wedding cufflinks. It's up to you! We cannot include more than one name on each cufflink and due to size restrictions, we cannot exceed more than 5 characters per name. 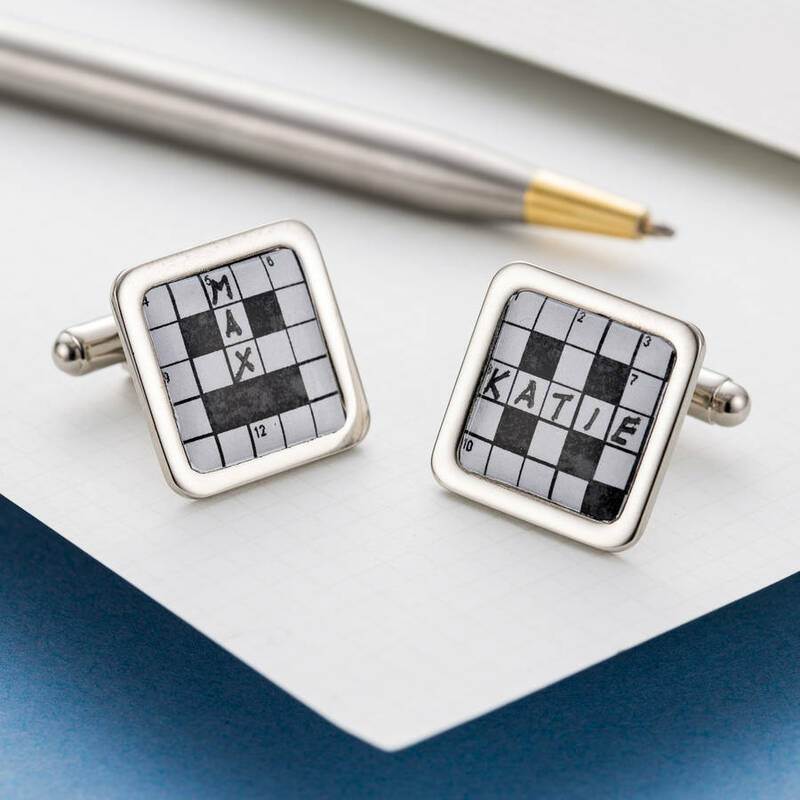 Personalise with one word on each cufflink (up to 5 letters maximum). Please check that all personalisation and delivery information have been entered correctly. We cannot guarantee that any adjustment requests made after the order has been placed will be possible. rhodium plated cufflink with resin dome. The cufflinks measure 2cm square and are plated with silver coloured metal.